The judges picked this campaign as the winner for two reasons. First was a very well thought out plan, and second was an excellent execution of that plan to deliver great results. 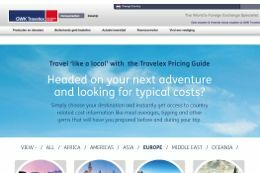 "Starting in November 2012, Mediaworks implemented Travelex’s integrated PPC and SEO campaigns to increase site visitor numbers, increase return on investment and improve the brand’s online share of the currency market. By launching a full-service multilingual campaign, including content creation, conversion rate reviews, technical analysis, content marketing and international outreach, we increased organic conversions by 87% and traffic by 53% within 12 months. Our holistic SEO campaign included a combination of head, mid-tail and long-tail targeted terms which drove traffic and conversions. This success was then supported with a profitable PPC campaign, which generated significant increased revenue during January–December 2013. " 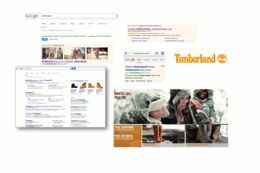 Timberland felt that its current PPC campaign was not working as efficiently as it should have been - and as a result moved the account to Lakestar McCann in October 2013. The aim was to focus on the unique transaction period that is the Golden Quarter whilst remaining agile and responsive to the market competition - so as to maximise the opportunity for Timberland moving into 2014. Entrants in this category should demonstrate how a project to attract appropriate and valued traffic from search has improved the ability of a business or other organisation with an on-line presence to achieve its objectives. Great search marketing is all about two things - strategy and execution, and this entry had both. The judges praised a really well thought-out plan that was then well-executed to deliver an increase in sales of over 20 per cent. In an austere market where the staycation rules, PushON and Al Fresco bucked the trend using targeted search strategies. A clear understanding of the customer decision making process enabled PushON to present the right offering at the right time and leading to significant growth in volumes of relevant visitors to the client website. That close relationship with the customer lead to high conversion with strong revenues supporting Al Fresco Holidays on-going growth. The judges praised this winner's great planning and execution. They were particularly impressed with the way it used video, PR and link-building to build traffic, create stickiness on the site and drive conversion. ALA provides GAP insurance for those buying or leasing new and used cars, vans, trucks and motorbikes. GAP Insurance is a relatively unknown concept in the UK and provides additional cover to cars lost or stolen by ensuring the owner is covered for the full market value of the car (at the time of purchase) and not the depreciated value at time of incident. The projects focus were to achieve high positions for GAP related terms in SEO and PPC whilst educating the public that it is more cost effective to buy online by marketing relevant content. This was truly integrated campaign across Paid Search, SEO and Social Media with a well thought-out strategy. The agency was able to deliver on national level with a specific local focus, but above all it delivered amazing ROI, scale and volume against a very low and challenging acquisition cost, giving the client 400% growth year on year and £250,000 of new revenue. Pure Gym is a new and ambitious leisure business that operates as a budget gym with low costs and overheads that translate to cheap gym memberships for customers. Verifiable and impressive marketing returns are critical to sustain their ambitious growth plans. 11 Out Of 10 were tasked with generating substantial levels of new visitor traffic to attract new members to sign up and register on-line. A well-designed website, a targeted and sustained PPC campaign, a highly successful SEO campaign and a popular social media marketing campaigns have since delivered all the results (and more) demanded by the client. The judges felt this was a very strong and worthy entry due to the nature of how competitive this sector is and the performance the campaign drove. Missguided is an online fashion retailer offering a fresh and vibrant product range for the trend-conscious shopper. After 18 months of trading Missguided selected Lakestar Media to recommend and implement an extensive, fully integrated SEO strategy. 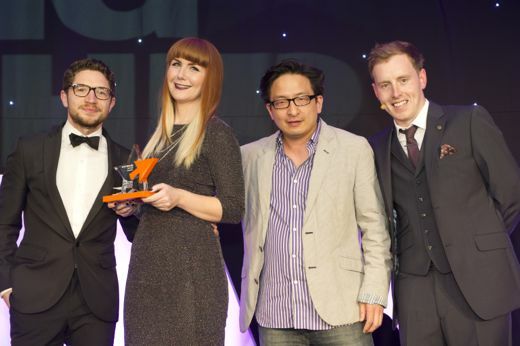 After undertaking a full site audit and review of SEO issues, the planned approach commenced with the resolution of all onsite issues, parallel to which a schedule of activity including onsite targeting, offsite optimisation and product feed implementation was employed.The campaign has delivered outstanding results, and has assisted to establish Missguided as the market leader and to win the Drapers 2011‘Best new Etailer' award. Successful search marketing today is all about collaboration: with clients to make sure that their websites are written and organized in a way that search engines understand; with clients' customers to make sure engagement is happening at all levels; and with other marketing channels to get the best out of every penny spent. The winning campaign here used solid SEO techniques, social media and tactical PPC to achieve that collaboration with great success. In a downturn every penny spent on marketing must be able to demonstrate a return, which is exactly what the teams at the winning agencies have achieved for their client. Employing key tools of search marketing from site optimization to paid search the team has identified and achieved great results against core KPIs. Once in a while you get the opportunity to work with a great brand and an exceptional product. It makes a search marketing campaign fun to deliver. People want to talk about your client and that conversation is the root of search marketing success. In the paint industry, there is no one better to talk about the Little Greene. The Little Greene are premium quality product not a volume product. Their audience is narrow and discerning. That's why English Heritage work with them. PushON and AsOne developed a campaign that brought the Little Greene Paint Company to the right audience.